Forget the calendar: Here are some more reliable indicators of spring’s imminent arrival. Colorful fabric. I limit my use of fiber reactive dyes during the winter months because of the volume of water rinsing and washing put into our septic tank. 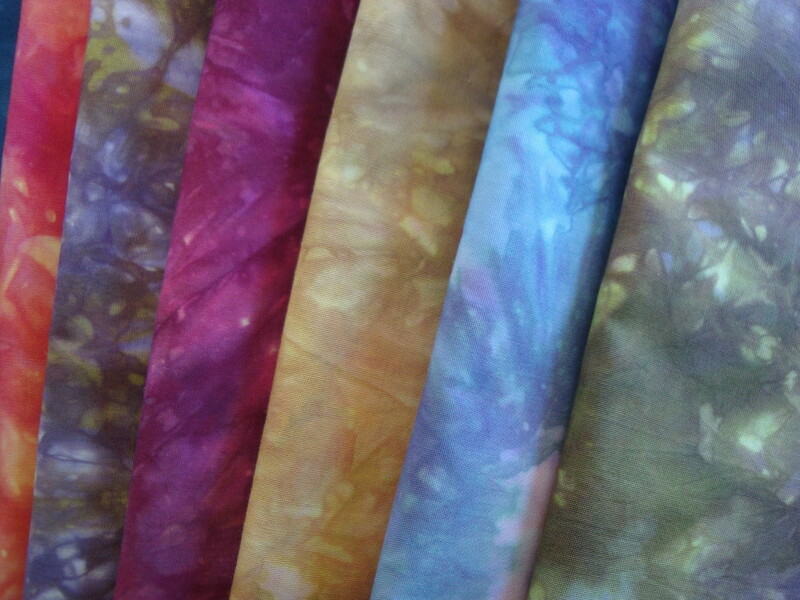 But last week, I dyed some quilting fabric for my sister-in-law. There’s not much color outside, but inside it looked pretty good. Bare Ground. 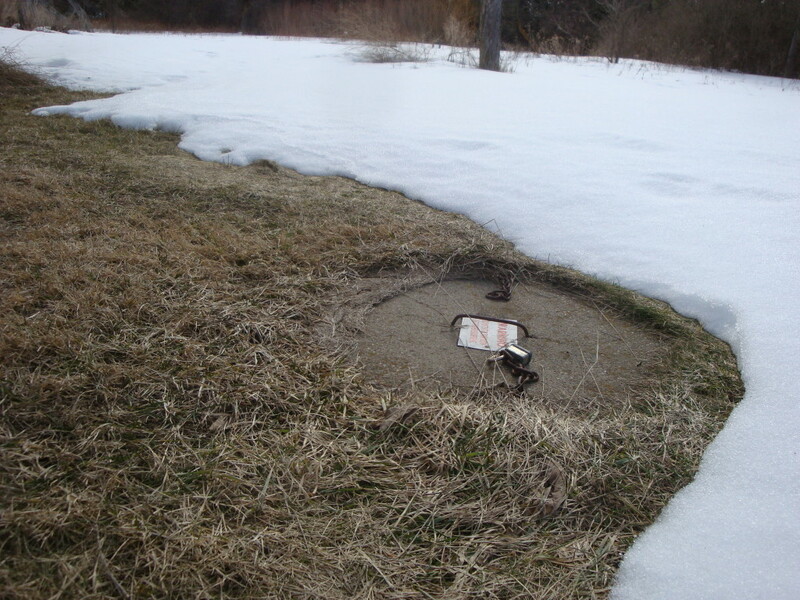 Snow melts faster where the heat of decomposition over a septic system helps warm the soil. I wouldn’t be surprise to hear some communities have parades to celebrate the return of bare ground around septics. Fresh Greens. 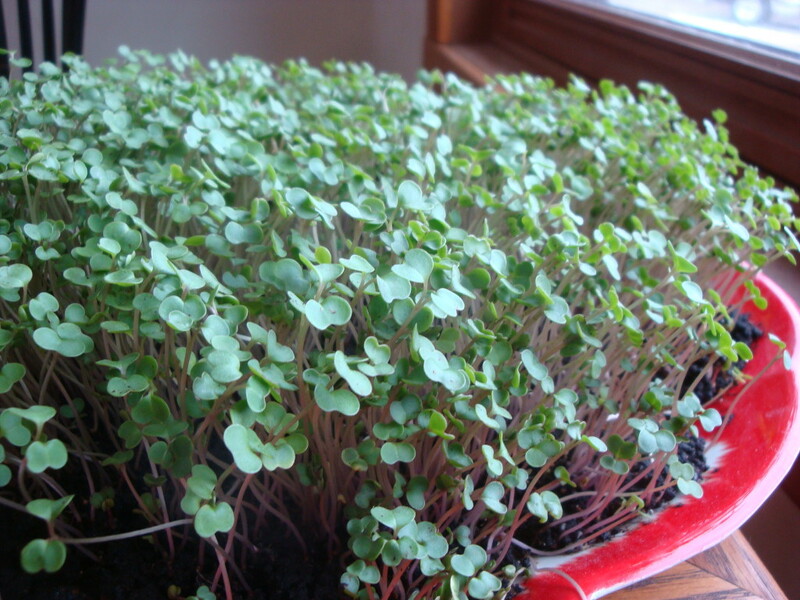 This has nothing to do with fiber art, but spring feels closer when I have a big tray of lush kale microgreens about ready to harvest. Pea shoots are next. These grow in recycled plastic serving trays on a thin layer of castings from our worm compost bin. Bill saw a red-winged blackbird not far from home the other day. What signs of spring have you seen? Do you find that the busier things get, the harder it is to convince yourself to do some task that will save you loads of aggravation? Not this time! With holiday gift sewing about to reach the top of my to-do list, I took a little time last week to tick something else off the list to make it easier and more comfortable. Naturally, it took longer to gather tools and materials from Bill’s shop than it did to complete the project. But the project itself was pretty simple. My goal was to get a larger tabletop around my sewing machine. I’ve been using the lovely oak table my dad made for my mom when she had this machine. That table was designed to fit in a closet in their house. The small work surface meant I always fought the weight of fabric spilling off the edge of the table as I sewed. The table I remodeled was made from plywood and a pair of folding banquet table legs bought at Fleet Farm. We’ve had this table at least 15 years, probably more like 20. I figured if my plan was a bust, I could always screw on a new plywood top. So I took apart Dad’s table and used the hanging shelf as a template. I traced around it, drilled holes at the corners, then cut out an opening with a jigsaw. I drilled four more holes to hang the shelf from the tabletop using carriage bolts, using four blocks of woods as spacers. The blocks should’ve made the shelf hang level. But with the uneven floor in my shop, I figured I had better check. No amount of fiddling with the tightening of the bolts did the trick, so I finally just shimmed two of the legs. One of these days, I may take a pipe cutter to those legs and cut them all down about an inch. I’m going to sew at this height for a while before I go to that much effort. Once of these days, I may also countersink the carriage bolt heads and buff and polish the plywood tabletop. For now, I’ve just stapled an old tablecloth over it. The cloth covering adds too much drag, but a silicon sheet counteracts that well enough. For now. We’ll see how it goes for a while. In the meantime, I have Christmas gifts to get made. How about you: Is there some small task you could do to make the rest of your holiday gift-making less stressful? One of my favorite things to do when we visit friends in southern Iowa is to drive past an old garage in their small town (smaller even than our small town) and peek in the windows. If you were to peek inside my windows right now, what you would see is a mess. In the push to finish products for holiday sales, well, you know what happens to horizontal surfaces. Yesterday I pushed back the piles up by the window where I take photos. I needed shots of proofing swatches to post with the new designs for sale in my Spoonflower shop. If you click News in the left panel on Spoonflower now, you’ll see the designer’s fabric photos and pictures of products made from their fabrics. Here’s the fabric from the design I made with repperpatterns.com and talked about in this post. Before the wave of debris rolled back into that area, I got some shots of willow-dyed scarves for my Etsy shop. I have the first few items posted now, and will be adding more as I get them photographed. It’s gray and gloomy today with snow in the forecast. Snow cover actually makes it easier for me to photograph, so I’m all for it (with apologies to those out east who could have done without snow so early). Our recent warm weather made holiday stuff that appeared in stores before Halloween, for Pete’s sake, seem just wrong. But now, it feels like time for a little window shopping, some in town, some online. But before I can wrap gifts, I’ll have to move a pile of books off the table downstairs. That’s a window I really don’t want anyone to peek into.